Small grocers give you some leverage against big retailers who give you big orders but squeeze you on price. Two big factors for food marketers when dealing with the retail trade are the size of the order and the ability to negotiate prices. Both of these have major impacts on profit. However, I’m afraid that unless food processors pay more attention to independent grocers they will continue to get big orders from the retail giants but will lose the strength to negotiate. The problem is the consolidation of the retail industry. As retailers become larger they place big orders but demand lower prices. Ironically, the solution to this is to build support among the independent grocers. While they don’t place the really big orders they can help keep the large chains in check by providing competition. If we don’t do something soon, the supermarket industry will be all big chains like the United Kingdom, which has five food retailers controlling more than half of sales. You might think of me as a “chicken little with the sky falling in,” but there is evidence this can happen. Today independent drugstores are virtually gone, replaced by Walgreens, CVS, Rite Aid and the ilk. The same thing happened among department stores. The same can happen to independent supermarkets. They are holding on as best they can but they need attention to remain a competitive force against the giants. Some of you may ask, “So what if they have problems?” The independent grocery channel, which includes nearly 21,000 of the 36,500 U.S. supermarkets, generates $129.5 billion in annual sales, representing nearly 25 percent of the total domestic market. Many of the independents that are going out of business are selling their stores to chains, just as the independent drugstores did. According to a Fortune article last year, more than 700 grocery stores of all sizes closed. But food processors could be the real losers. Not because the stores are disappearing but because it is giving the remaining chains more and more negotiating power. I’m sure it is not news to anyone that food processors are paying about $3,000 for a one-inch FSI ad that includes zillions of other brands and prices that very few people actually read. Most food processors are paying slotting fees of millions of dollars to get significant distribution. I have written in previous Food Processing articles about the loss of negotiating power in countries where a few retailers dominate the market. In many of those cases the retailers had higher margins than the food processor. And this is not too far from the truth in the U.S. In my opinion we have not yet lost control but we are close. In the U.S., about 20 percent of food sales are made by the top five chains, whereas Australia is about 78 percent and Canada is about 45 percent. We still have a viable independent market but we need to keep it that way. 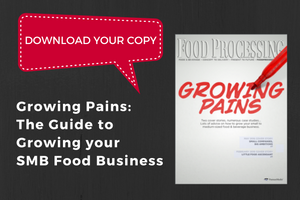 What can food processors do to help? Use the F-word! That’s right, help independents do a better job at Fresh, Fast and Friendly because this will be the way to stay in business. The price war is over. The giants have won and independents won’t be able to compete on the lowest price. It is not just the other giant supermarkets that are keeping the price low, it is the dollar stores and even the mass chain drugstores that are selling at very low prices to increase traffic. This means food processors may need different sales and marketing strategies for the different types of chains. Independents may need more support in creative ways to get people into the stores based on something other than lowest prices. The only way independents can compete against the giant chains is to be better at something other than price. Just offering better deals won’t keep them in business; at best it will make them better targets for the chains. It will take a real leader in a food processor to take the steps necessary to help independent grocers. They will have to overlook the short-term costs to realize long-term negotiating power. It will take a real leader to not be excited by the siren call of the mass merchants buying huge percentages of production on one sales call, to see the merits of having a competitive marketplace that gives food processors options. It will take real leadership to argue that keeping independent retailers in business is good business for the food processor. Market View: Do You Really Understand Marketing? It's making what consumers want to buy, not making them buy what you want to sell.